2019 got off to a great start when along with a group of photography friends we headed to Coigach and Assynt in the first weekend of 2019. Staying in Achiltibuie and arriving mid afternoon the Friday was a bit of a non event with just a drive up to the viewpoint above Altandhu looking down to Old Dornie and Torridon beyond. We would return here on the Sunday in search of better light. Saturday was spent doing a bit of scouting over the immediate ground from the road of Druim Bad A Ghaill and then on to Loch Druim Suardalain. We decided this would be our sunrise location on the Sunday. So in need of getting some images into the cameras we headed north to Clashnessie Falls below. The light was fairly flat so shooting waterfalls was ideal. Three of the group had never been here before, and having shot here before in 2014 I wasn’t overly bothered about getting an image at first, but after a few minutes i had my tripod in the river and was composing a shot. After we left here we headed to the Wailing Widow Falls south of Unapool. I had shot these before back in the summer so didnt bother taking my camera in with me. Instead I was happy to show the group, where a different 3 had not been before. Finishing off the day at the Elphin Bothy but the light was too low by the time we got to it. Again it was really to show the other 4 members of the group where it was. Sunday’s weather was the most promising so we headed to Loch Druim Suardalain with plenty of hope. We all found our composition spots from the previous days scout and waited in anticipation of what looked promising conditions, and waited and waited. It just didn’t kick off pre sunrise as we had hoped, some of us moved away from the spot we were rooted to for around an hour. Typically and out of nowhere about 20-30 minutes after sunrise the dome of Suilven lit up like a ball of fire and Canisp had some lovely sidelight on it. It was worth the wait. So with something salvaged from the mornings outing 3 of the group headed to climb Stac Pollaidh. 2 of us decided to take it easy and see where the wind took us. 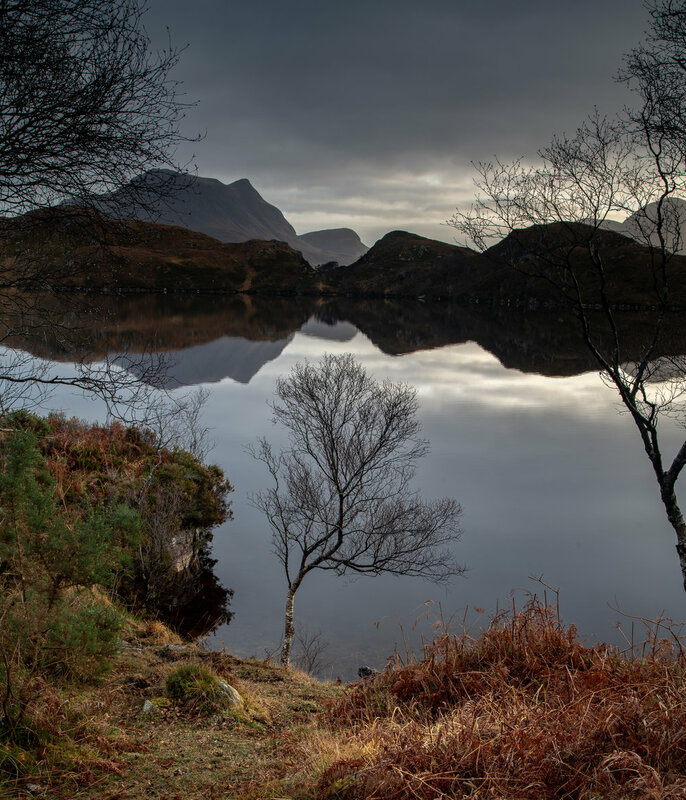 We ended up at Loch Bruine Moire where I happened across this lone tree on the edge of the loch. 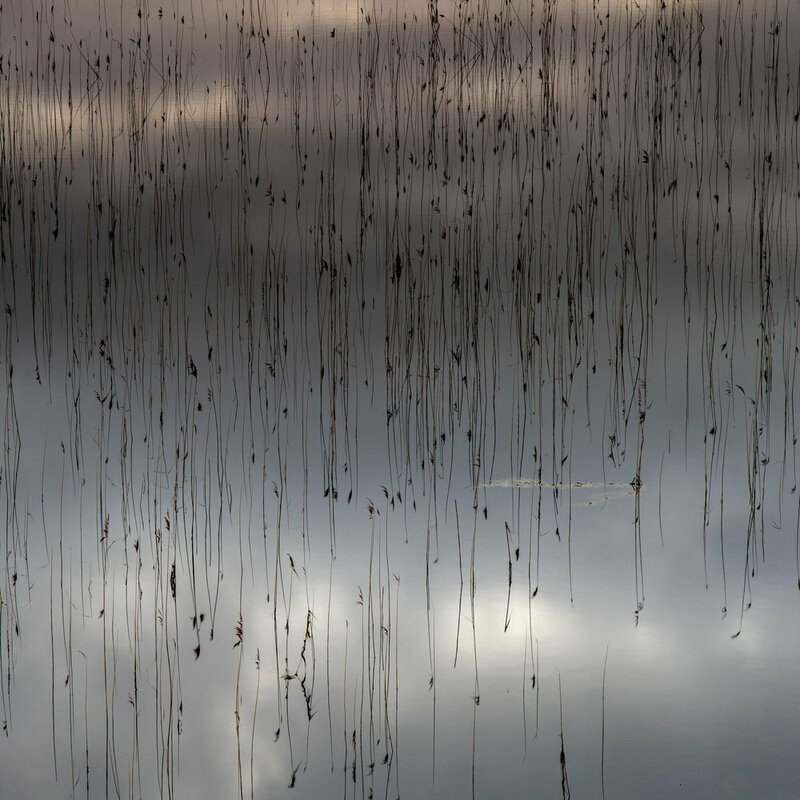 It took sometime to compose a shot with it completely isolated in the body of the loch. Separation is something that once its in your head is difficult to get out. Later after meeting the guys at the foot of Stac Pollaidh we headed to the little beach between Achiltibuie and Polbain to shoot some of the rusty buoys and other textures around. 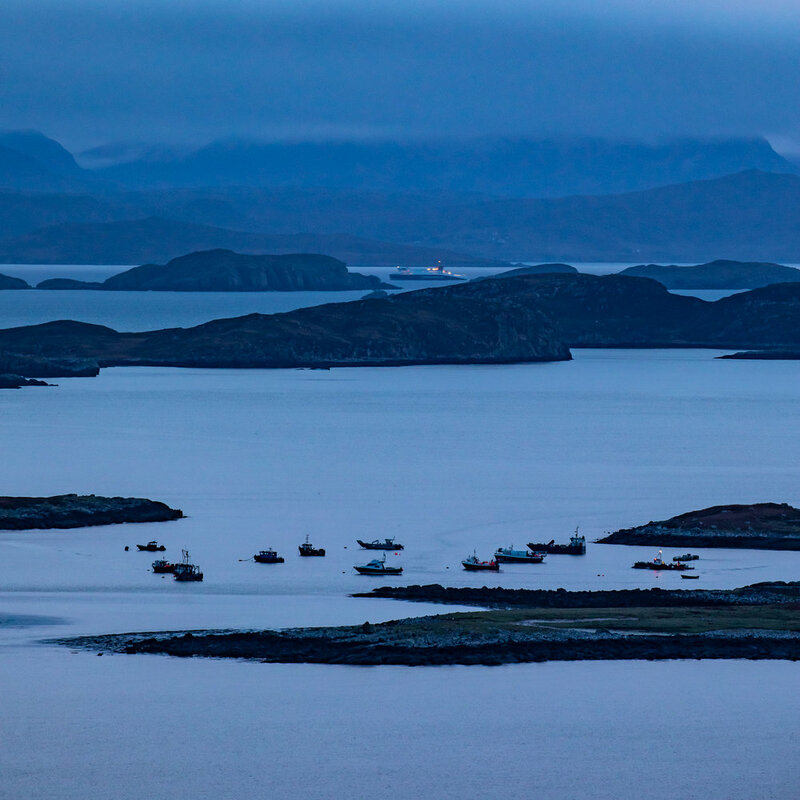 To end the day we headed to the viewpoint again to shoot Old Dornie and Torridon beyond,. Sadly the cloud base over Torridon was too low and whilst there was some colour to the west it wasn’t able to catch behind Old Dornie. To end the weekend we headed to the Fuaran Bar in Altandhu for dinner again, then returned to Locholly Lodge for the night, with a dram of Clynelish courtesy of Allister. A fine way to end a great weekend.